For our annual New Year's Day party, I always have some sort of carrot, greens, and black eyed pea dishes that are traditionally symbolic of health, wealth, and good luck respectively. This was a recipe that I found written on the back of an envelope in my Maw-maw's recipe basket that I updated slightly. 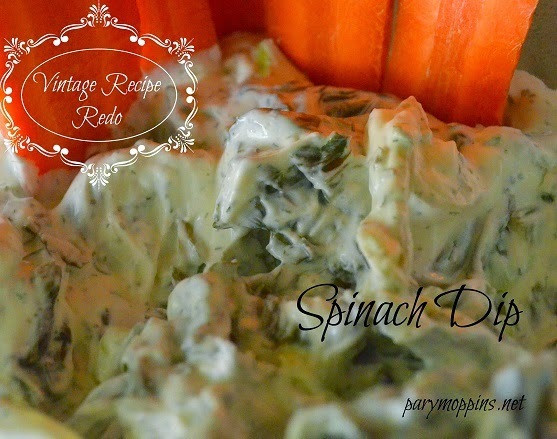 It's a riff on the traditional spinach dip and can be made the day before. Throw all ingredients into a bowl. Blend together with an electric mixer. Chill for a couple of hours at least before serving with raw veggies, crackers, chips, or pumpernickel bread. Any leftover dip makes a great sandwich spread. *You can use a mixture of greens including mustard, turnip, and collard. You can use fresh or frozen just make sure they are cooked down.